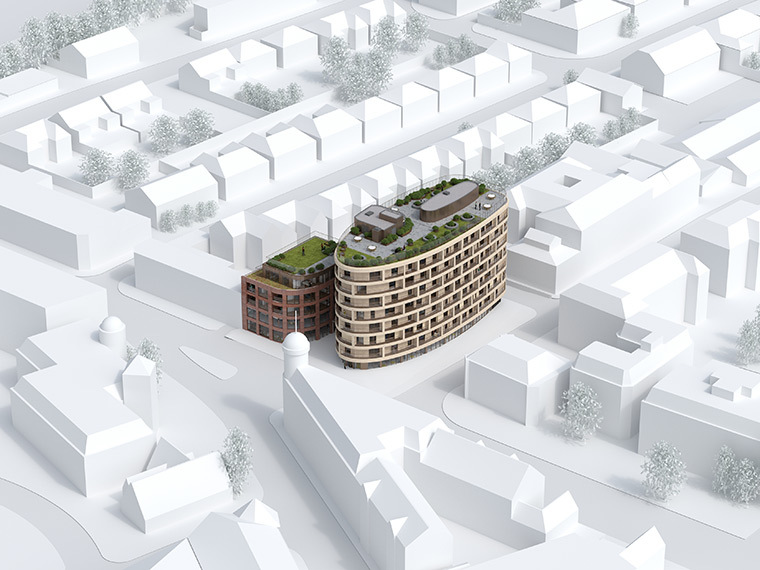 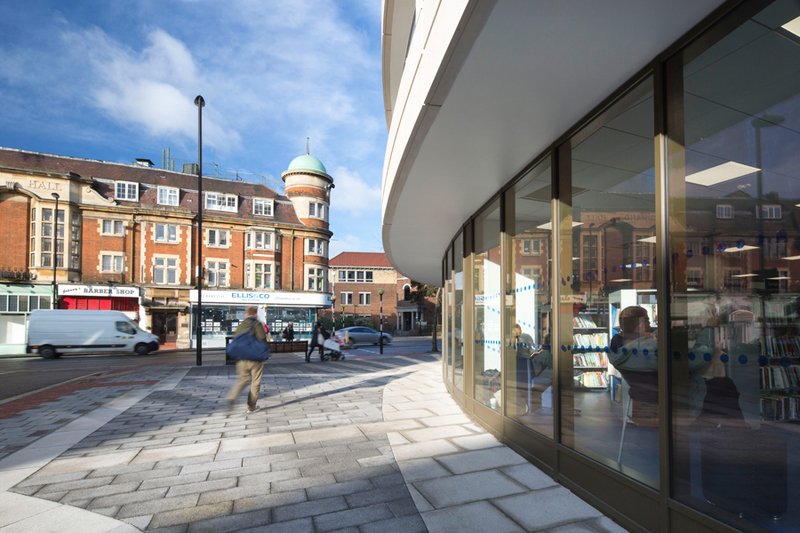 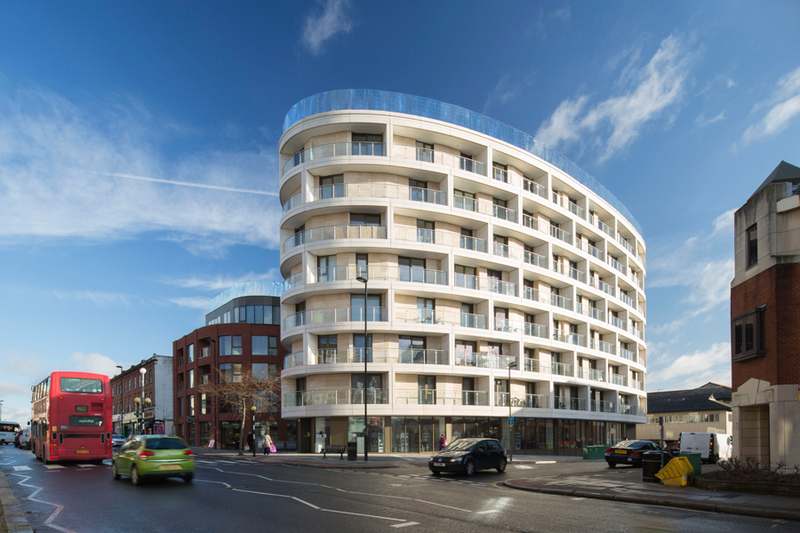 This large, mixed use development replaces a 1960s office in Finchley with two new blocks providing 77 flats, two levels of office space, car parking, a Waitrose supermarket and a new, re-located public library at street and basement level. 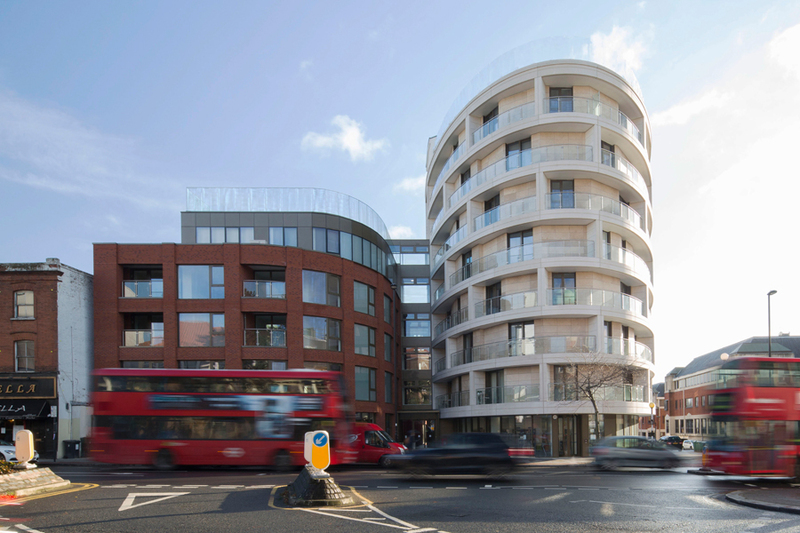 In a conservation area and adjacent to a listed building, one block continues the existing streetscape in a matching brick, whilst the taller, eight-storey block stands apart, elliptical in plan and finished in pre-cast, re-constituted stone panels with full height glazing. 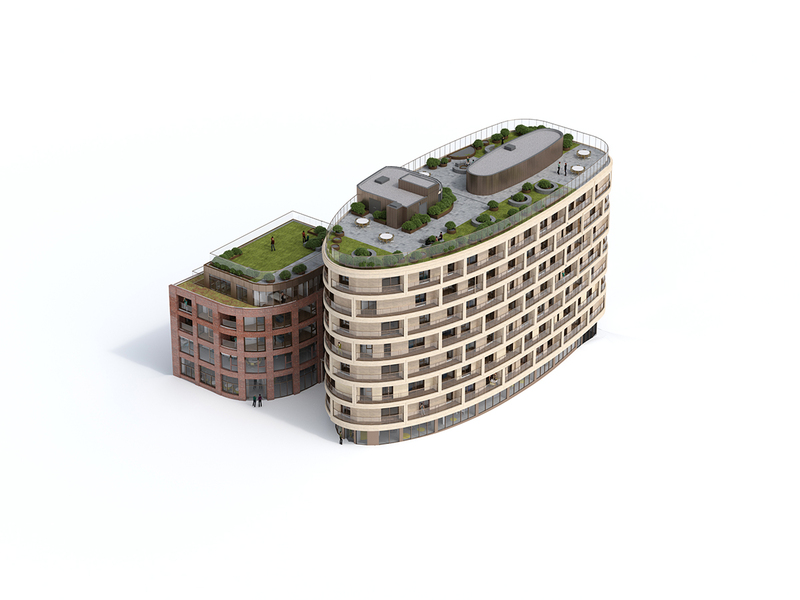 Both blocks have communal, rooftop gardens as well as private terraces for each dwelling. 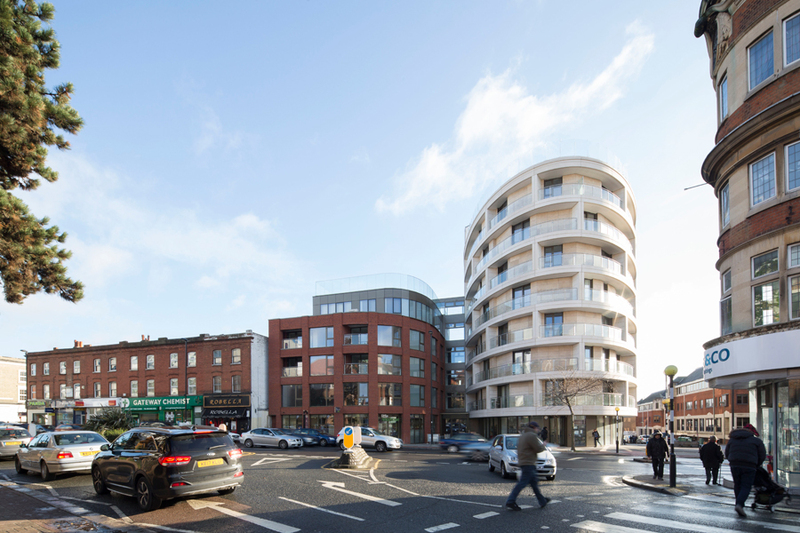 This is the largest of twelve schemes completed for this repeat client and is due to complete early in 2018.